The owners of 10 Brisbane homes have been forced to hand their properties over to the Brisbane City Council so a $115 million road-widening project can be finished. 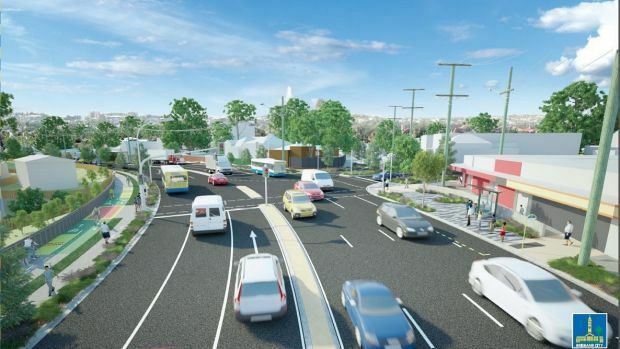 The two-stage Wynnum Road road upgrade was first announced by the council in 2014 and, in order to widen Lytton Road to six lanes, the full and partial resumption of 49 properties was required. Last Friday, the remaining 10 property owners who were yet to reach a sale agreement with the council had their properties transferred to the council by means of the state government gazette. Lord mayor Graham Quirk said following the gazettal, all 49 partial and full properties required for the project would be in council ownership and construction could start early next year. The council had previously settled with 39 property owners and seven acquired buildings had already been removed. The remaining buildings acquired by the council would be relocated or demolished by early next year. “Council will continue to work over the coming months to provide support to affected stakeholders and ensure they have suitable opportunity [to] make accommodation arrangements prior to council needing to remove the houses,” Cr Quirk said. The council had to get the assistance of the state government to finalise the acquisition process as per the state government’s Acquisition of Land Act. The act states land can be acquired by negotiation with the landholder or through compulsory acquisition. “Local governments can acquire land for purposes related to local government functions,” the act says. “If a compulsory acquisition is proposed for land you hold, you will receive a notice of intention to resume. The acquisitions of the 10 properties were published in the state government gazette on October 20. The council was currently reviewing tenders for construction of stage one of the upgrade and was expected to announce the successful contract by the end of the year. Construction was expected to start early in 2018.